Advanced Amateur Ham Radio Course is scheduled to start January 14, 2019. We have received sufficient interest in this course and it will proceed as scheduled. Thank you for registering in advance for this course. There is still room for additional participants so please register and join the class. Advanced Amateur Radio Study Guide Must be purchased in Advance for the course. Start Date: Starting January 14, 2019. Duration: Monday evenings for 16 weeks (16 evenings total not including Stat Holidays if required). Note: Tuition includes photocopied course materials ($15.00 value),and Advanced Qualification test by accredited examiner (would cost $20 if test taken at Industry Canada). The test is 50 multiple choice questions covering Radio electronics and setup of Amateur Station and Repeaters, Operating Modes, Antennas, Operating practices, and theory. The Advanced qualification is a technical upgrade with a deeper look at radio, electronics and advanced amateur modes. The class will involve demos and hands-on where possible. A collaborative model is followed with expert peer presentations. Student participation is expected both in questions and lessons. Good attendance and reading/study between classes are needed to be successful. If you do not complete the course, your course fee covers you for any future CARA Advanced course. This meeting will feature a demonstration of linked repeaters over the caranet network. at the Chapelhow Legion at 606 – 38 Ave NE. All radio amateurs and their guests are welcome !!! Come join us for lunch and engaging conversation. The doors of the Legion will open for us at 11:15. The meeting will start at 11:30 am with a short break for ordering lunch as soon as the window of the restaurant opens. CARATELS has become the "fun" section of CARA. Because we have noontime meetings, most attendees do have grey hair and are, in fact, retired. However, in no way is the group restricted to grey hair and retirees. Come and attend to have a good time. If you are free at noon once a month, come to CARATELS for an inexpensive lunch, some good laughs, interesting programs, and plenty of time to eyeball and yak with fellow hams. We normally meet the first Wednesday of each month. Future E-mails will inform of details and exceptions. You may also contact Nick VA6LEO at nickgardner2010@yahoo.com for more information. Volunteers are need for this 3 day premiere rally event. 19 Mar 2019 CARA VHF interest group. 19 Feb 2019 CARA VHF interest group. 17 Nov 2018 ARRL SSB Sweepstakes Contest:SSB operators join us! 26 Oct 2018 CQ Worldwide DX Contest, SSB Operators Wanted this Weekend! 13 Oct 2018 Want to Participate in the ARRL Simulated Emergency Test Saturday October 13th? 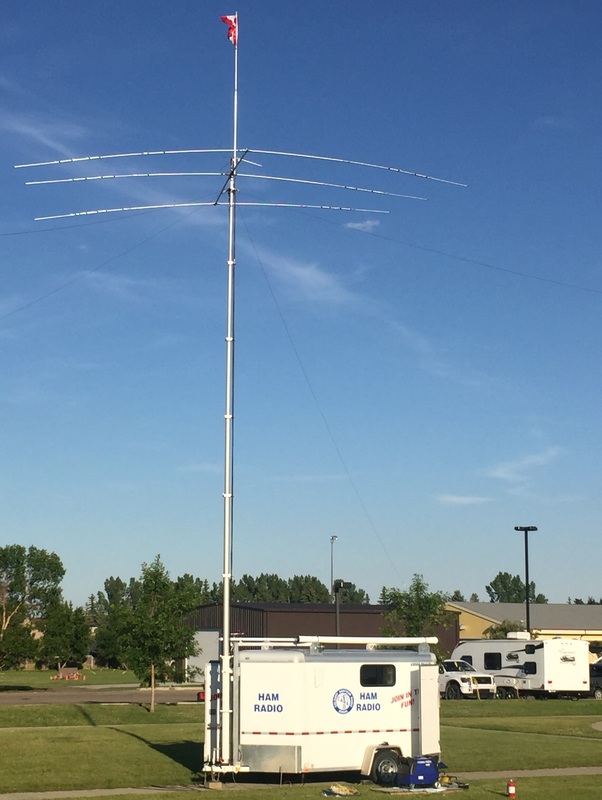 30 Jun 2018 RAC Canada Day Contest - SSB & CW Operators Wanted ! 05 Apr 2017 DX Club Meeting - QRP Night ! 19 Nov 2016 ARRL SSB Sweepstakes Contest : This weekend, join us! 30 Jun 2016 RAC Canada Day Contest - SSB & CW Operators Wanted ! 11 Jun 2016 Field Day planning meeting June 11. 08 Feb 2016 Feb 8 & 9 2016 - A few spare/backup Casino Volunteers needed - register now! 23 Oct 2015 CQ Worldwide DX Contest, SSB Operators Wanted! 10 Oct 2015 CARA MEMBERSHIPs Available at SARA spring flea Market. 11 Jul 2015 IARU Championship Contest - CW and SSB operators wanted! 30 Jun 2015 RAC Canada Day Contest - SSB & CW Operators Wanted ! 24 Oct 2014 CQ Worldwide DX Contest, SSB Operators Wanted! 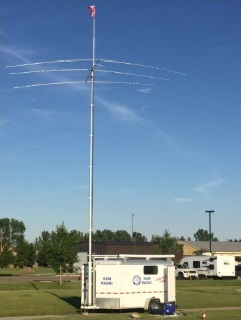 18 Jul 2014 "Tour for Kids Alberta"
12 Jul 2014 IARU Championship Contest - Special Call VC6IARU - CW and SSB operators wanted! 30 Jun 2014 RAC Canada Day Contest - SSB & CW Operators Wanted ! 22 Jun 2014 7 More Casino Volunteers and 2 Spares still needed - Can you help? 17 Jun 2014 VE6RYC Repeater site tour. 27 May 2014 CARA General Meeting PROGRAM "Ideas gleaned from other stations - best practices found in the wild"
05 Feb 2014 CARA DX CLUB WORKSHOP - Seting up station QRP or QRO ? 15 Dec 2013 VHF SSB "NET"
25 Oct 2013 CQ Worldwide DX Contest, SSB - Join the fun this weekend! 20 Oct 2013 10th Anniversary Gorilla Run! 01 Sep 2013 VHF SSB "NET"
13 Jul 2013 IARU Championship Contest - Special Call VC6IARU - CW and SSB operators wanted! 05 Jul 2013 Calgary Stampede Special Event Station - Operators Wanted ! 30 Jun 2013 RAC Canada Day Contest - SSB & CW Operators Wanted ! 15 Feb 2013 ARRL Inter. DX Contest, CW - CW Operators Wanted ! 10 Dec 2012 Important Notice of Examination Night for Basic Amateur Radio Class. 13 Oct 2012 The RAC Simulated Emergency Test (SET) is set for October 13-14. 05 Sep 2012 DX Meeting- "Ultra Portable - Multi Mode - HF Transceiver - Elecraft KX3 and Alberta Summits On The Air"
05 Jul 2012 CK6S - Calgary Stampede 100th Anniversary Special Event Station - Operators Wanted ! 30 Jun 2012 RAC Canada Day Contest - SSB & CW Operators Wanted ! 17 Feb 2012 ARRL Inter. DX Contest, CW - CW Operators Wanted ! 16 Dec 2011 RAC Winter Contest - SSB & CW Operators Wanted ! 09 Dec 2011 ARRL 10 Meter Contest - The band is alive join in the fun! 19 Apr 2011 Monthly VHF/DIGITAL Meeting CANCELLED!! 09 Apr 2011 S E T " High water & low bridges"